Hello, 60's You’re almost there. You can do it. Just a few more years and then it’s time to enjoy that sweet, sweet retirement. You’ve worked hard and now it’s time to reap the rewards of your planning. 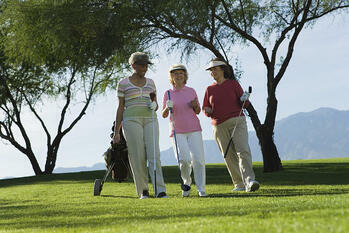 With just a few more steps, you’ll be ready to spend your golden years in style. Everyone has big dreams when it comes to retirement but planning is what makes them a reality. Where are you going to live? Are you going to sell your home? Pay off the rest of your mortgage? Rent it out to people? These are all decisions that you need to make before retiring. When it comes to life in retirement, you need to be unprepared for the unexpected. This could include any potential long term health care costs in the future. The younger you are, the lower your long-term insurance premiums will be. You should also keep padding your other savings accounts in the lead up to your retirement. At this point in the retirement planning process, you should have a good idea of how much money you have set aside. You’ll need to create a retirement income for yourself and budget how you will spend your money. There should be enough money available each month so expenses can be paid, but not so much that you run out of money early. You want to make sure that your family is taken care of when after you’re gone. All estate planning documents should be up to date and reflect the correct information. This includes a will and last testament, power of attorney, living wills, wishes for health care, etc. If necessary, you may want to place safeguards in place to protect any potential inheritances. For information on saving for retirement in your 50's click HERE.